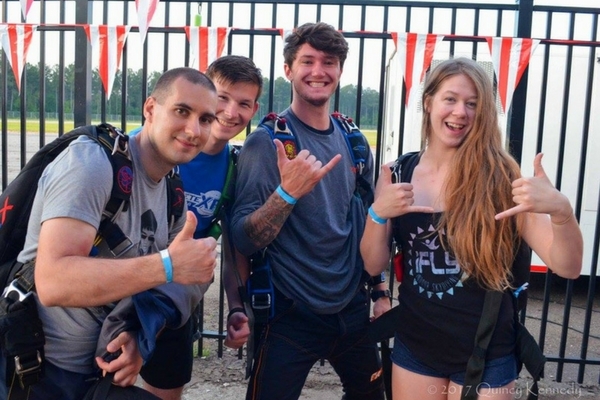 When first time jumpers come to Skydive Carolina to scratch an item off their bucket list, they often have no idea that people pursue skydiving licenses, let alone that skydiving is a competitive sport with multiple disciplines. Indoor skydiving tunnels and more advanced equipment have taken the sport to new heights. 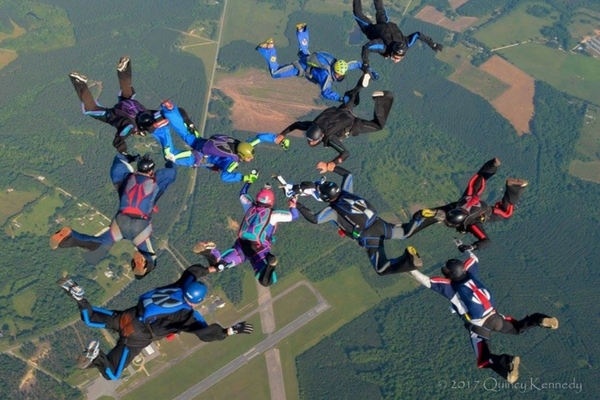 People now compete in a range of different disciplines, from formation skydiving to freestyle skydiving, while new skills, such as XRW, seem to be developed all the time. Thanks to the proliferation of social media, more attention than ever is now being paid to skydiving and our participation numbers are at an all-time high. Many of those awesome videos you see online, though, are advanced skills. That’s because skydiving is not just about falling from the sky and having fun, it’s also about developing your freefall and canopy skills as you progress through the sport. Think of skydiving sort of like track & field. Just as you might watch Olympic athletes compete in a wide-range of running-related disciplines — 100 meters, marathon, shot put, javelin throw, etc. — skydiving athletes also can specialize and compete with a wide-range of different freefall and canopy-related disciplines. These skills can range from relative work (think any kind of formations or speedy maneuvers conducted from a skydivers’ belly position) to tracking, freeflying, wingsuiting and canopy work. Skydivers can compete on forming big-way formations, freestyle freeflying, four-way and eight-way belly that require a set of quick-changing formations to acquire points. As for the canopy, skydivers can compete on accuracy landings, swooping and relative canopy work, which is building formations in the sky with open parachutes. While there are many different skydiving competitions held across the world every year, the National Collegiate Parachuting Championships is a great way for college students, generally limited on funding, to compete in skydiving. The Collegiates have been held annually by the USPA since 1958. Just as with many other athletic sports, including track & field, the key components always promoted at these events is safety, competition, sportsmanship, and camaraderie. Many of these competitors continue to hone their skills after they graduate, and many of today’s leaders in the sport had their start while they were still in college. The USPA Nationals are the creme brulee of the U.S. skydiving competitive world. 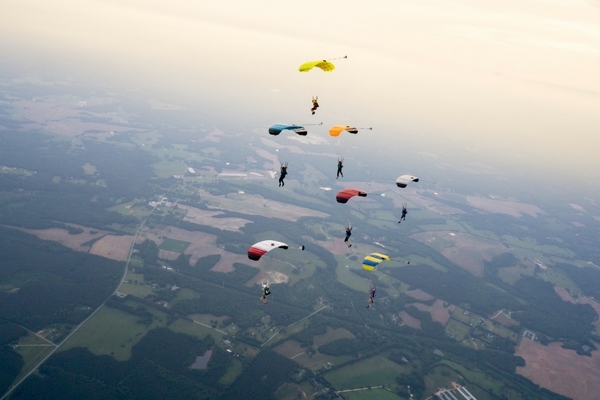 While the format of the premiere USPA championship event varies from year to year — sometimes all skills take place over a 10- to 14-day period while other times it can be separated into two or more different competitions with specific focuses — the same idea remains: it’s a place where skydivers can showcase their skills in a competitive format. The media and the general public are also able to see skydiving at its best at these competitions, which can help expand the sport and attract new people, thereby increasing its popularity. If you’re ready to take the first step towards competitive skydiving, sign up for our AFP First Jump Course. 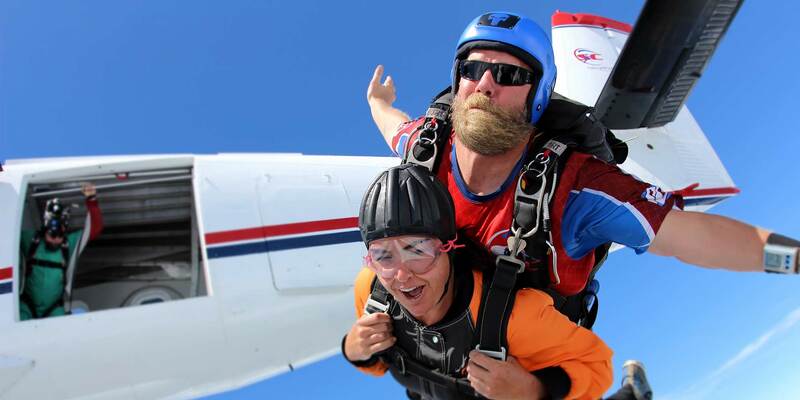 We’d love to show you the ropes of all the types of skydiving disciplines and help you master your flying skills.